CSTA is proud to partner with several organizations to provide you with quality and exclusive content. Located in Golden Gate Park in San Francisco, the California Academy of Sciences has a long-standing reputation among educators in the San Francisco Bay Area and beyond for providing high-quality learning experiences for teachers, students, and the public. The Academy has provided a wealth of on-line resources for teachers working to implement NGSS. Join us in Pasadena for the opportunity to attend one or more of the fine workshops and short courses from the Academy's team of Teacher Educators. The California Environmental Education Interagency Network (CEEIN) is a state government consortium of environmental educators representing departments, boards, and commissions of the California Department of Water Resources, CalRecycle, California Coastal Commission, California Department of Education and many more. CEEIN fosters broad understanding of the State's environmental and cultural resources while affirming that education is essential to the development of understanding and respect for the environment. Who's at the Beach? Environmental Policy, Beach Access, and YOU! The California NGSS K-8 Early Implementation Initiative is a grant funded initiative that has allowed eight districts and two charter networks in California to get a jump start on implementing the California NGSS. The initiative is proud to offer exclusively to the California Science Education Conference more than 15 workshops to be presented by teachers and educators who have had the opportunity to explore and begin to implement the new science standards. Don't miss these fantastic offerings from an amazing group of teachers and education leaders. CSTA is pleased to announce that we have partnered with the California NGSS K-8 Early Implementation Initiative and the K-12 Alliance @ WestEd to bring to the conference a series of nine workshops to be presented first to the public at this year’s CSTA conference in Pasadena. This workshop series is based on grade-specific learning sequences that have been designed by educators and professional developers involved in the CA NGSS K-8 Early Implementation Initiative. There will be one workshop each for Kindergarten through 8th grade. The workshops will be presented by teachers who have not only worked to develop the sequence, but will be implementing them in their classrooms this year. Participants will learn first-hand from classroom teachers what they have learned during the process and based on the first couple of months of school. The workshop series will be presented Friday, November 30 – Sunday, December 2, 2018. The California Science Project (CSP) is a statewide support network for teacher professional learning and leadership development. CSP collaborates with science faculty, educators, schools and districts to provide effective and high quality science instruction, with a special focus on the needs of English learners, students in poverty, and students with low literacy. The CSP is part of the larger infrastructure of discipline-specific networks known as the California Subject Matter Project administered by the University of California, Office of the President. Taking Multidisciplinary Science Outdoors and Making It Work! Comprised of 30 prominent educational leaders and nonprofit stakeholders, the Steering Committee includes representatives from the California Department of Education and CalRecycle, three directors of the University of California’s Subject Matter Projects, and a member of the State Board of Education. The Steering Committee is now working to implement recommendations from the blueprint to support school districts, teachers, and local program providers with the ultimate goal of achieving environmental literacy for all of California’s 6.2 million K–12 students. The Exploratorium, located in San Francisco, is well-renowned for its professional learning offerings and the Exploratorium Teacher Institute. Take advantage of this wonderful opportunity to attend workshops presented by the amazing team from the Exploratorium! Since opening in 1984, more than two million schoolchildren and teachers have come through the doors of the Monterey Bay Aquarium—for free. They offer in-depth programs for students and teachers that reach thousands more. Each year hundreds of teachers and school administrators come to the Aquarium to enhance their knowledge and add to their collection of classroom activities. - Take advantage of this opportunity to experience professional development provided my Monterey Bay Aquarium teacher professional development staff. 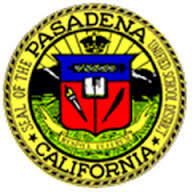 The Pasadena Unified School District started their transition to the NGSS in 2013. Committed to providing students will a high quality STEM education, PUSD has 5 Elementary Schools, 1 Middle School, and 3 High School pathways that focus on STEM. Each school provides interdisciplinary connections through Project Based Learning to foster the 21st Century skills students need to be successful in college and career. PUSD partners with community organizations such as Caltech and Carnegie Observatories. These partnerships provide students opportunities to connect classroom learning to their community.